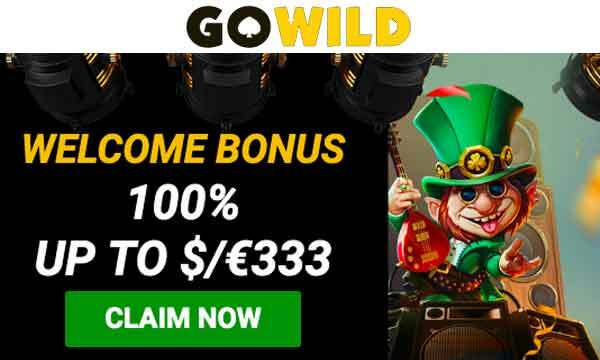 Get 10 No Deposit Free Spins + 150% Welcome Package & Another 80 Bonus Spins At Cloud Casino! 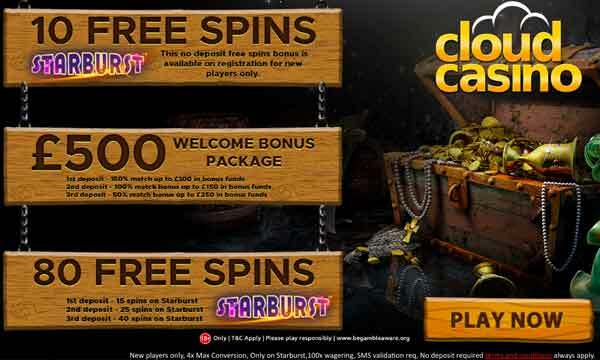 You can claim 10 free spins on without deposit on Starburst with the Cloud Casino Bonus. Plus, the full welcome package gives bonuses on your first 3 deposits up to a total of £500 and 80 Free Spins. The Cloud Casino Bonus gets started as soon as you register and validate your account. You will instantly be awarded 10 free spins with no deposit required to play on Starburst. Simply open the game and your free spins bonus will be there waiting for you. The full Cloud Casino Bonus is where the real rewards can be claimed. You can get up to a generous £500 and 80 free spins over your first 3 deposits. 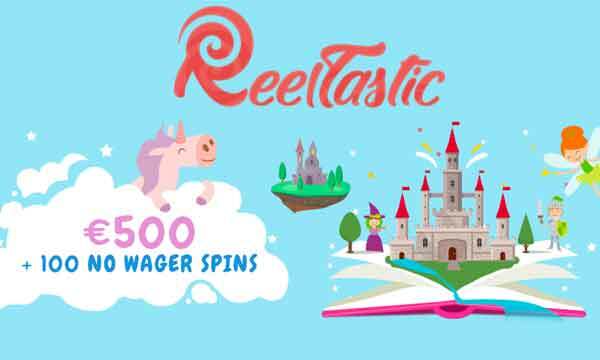 All the free spins as part of this welcome package can be played on Starburst. There’s no promo code required. Just make your deposit and accept the bonus. Each of the 3 match bonuses requires at least a £10 minimum deposit. The 10 free spins on registration requires no deposit. Wagering of free spins is set at 40x the winnings and match bonuses are also set at 40x (bonus + deposit). You’ll be impressed with the great games that Cloud Casino has to offer. Microgaming, Pragmatic Play, IGT, NetEnt and Yggdrasil are just a few of the games providers that operate here. It’s not just slots either. You can also play jackpots, table games, instant win and live dealer games. The selection is actually pretty incredible for a relatively new online casino and they’re all available on mobile too. Cloud Casino has only really been around for the last year or so but they have built a pretty good online casino. All the games load quickly and the interface is easy to understand. It is compatible with nearly all mobile devices as well as tablet and desktops. The Cloud Casino Bonus for new players is strong and will appeal to most. You can claim 10 free spins on sign up to try the casino out before making a deposit. If you like it, then you can claim the full welcome package, where you can get up to £500 and another 80 free spins. The games selection is probably Cloud Casino stands out most. The top name providers have all of their most popular titles on offer. Plus new titles are being added all the time, so don’t worry about missing out! Cloud Casino holds a licence with the UKGC. Payments are secure and simple. You can deposit and withdraw using a number of different methods including, PayPal, Neteller, BOKU, Skrill and Paysafe Card, as well as by credit/debit card. Try the out today, we’re sure you’ll be on cloud 9! 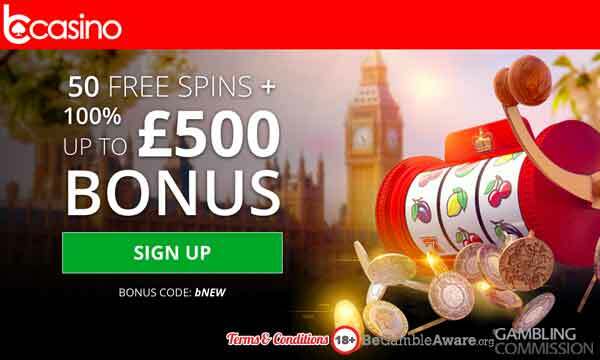 Get 10 no deposit free spins at this good all round casino!